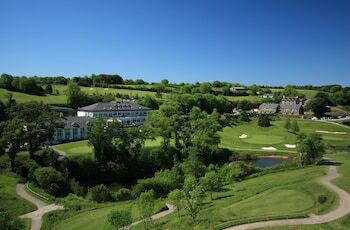 Located in Totnes, Best Western The Dartmouth Hotel Golf & Spa is in a rural location, a 1-minute drive from Woodlands Leisure Park and 9 minutes from Royal Naval College. Featured amenities include dry cleaning/laundry services, a 24-hour front desk, and multilingual staff. Event facilities at this hotel consist of conference space and meeting rooms. Free self parking is available onsite. With a stay at Roedean Guest House in Weston-super-Mare, you'll be within a 5-minute drive of Weston-super-Mare Town Hall and The Grand Pier. Free self parking is available onsite. With a stay at Blue Ivy Hotel in Colchester, you'll be within a 15-minute drive of Colchester Zoo and Colchester Town Hall. Free self parking is available onsite. A stay at The Old Palace Guest House places you in the heart of Brighton, within a 10-minute walk of Brighton Sea Life Centre and Brighton Royal Pavilion. When you stay at The Sea Croft in Lytham St. Anne's, you'll be near the beach and minutes from Island Cinemas and St. Annes Pier. Located in Pickering, Rocklands Lodges is in a rural location, a 1-minute drive from Yorkshire Moors and 8 minutes from Beck Isle Museum. Free self parking is available onsite. With a stay at La Bella Vita Hotel in Hitchin, you'll be 30.7 mi (49.4 km) from University of Cambridge and 30.5 mi (49.1 km) from St Catharine's College. Free self parking is available onsite.